New me = New recipe! Since we’re trying to make better food choices and eat more vegetables, I have been continuously looking for fun, yummy recipes. This was a step out of my comfort zone as I have never really liked eggplant or zucchini. In order for me to be healthy, I need to eat a variety of food, and that includes trying new things. It was very easy to make too! Everyone really enjoyed it!! Next time I’m going to add a bit more tomato sauce, use cherry tomatoes and maybe add some avocado. Craig also suggested substituting the quinoa for brown rice. This vegetarian dish is so filling, and I love it because its incredibly versatile. 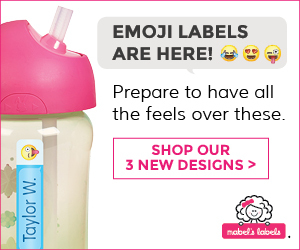 You can add whatever spices and vegetables you like! Preheat oven to 350 degrees F (175 degrees C). Line a deep baking dish with aluminum foil. Mix quinoa and water together in a saucepan; bring to a boil. Cover, reduce heat, and simmer until quinoa is tender and water is absorbed, about 15 minutes. Heat olive oil in a large skillet over medium heat; cook and stir onion and garlic until fragrant and slightly translucent, 5 to 7 minutes. Add zucchini, eggplant, and tomato; cook until slightly tender, 3 to 5 minutes. Stir tomato sauce into vegetable mixture; cover and simmer until vegetables have softened, about 10 more minutes. Stir quinoa into vegetable mixture. Season with salt and pepper. 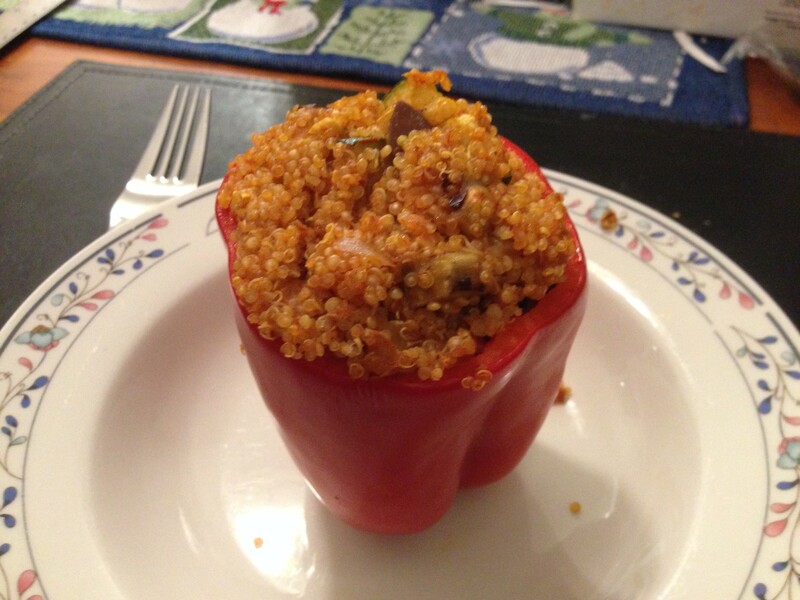 Fill bell peppers with quinoa-vegetable mixture. Place peppers in prepared baking dish. Cover dish with aluminum foil. Bake in the preheated oven until bell peppers are slightly tender, about 18 minutes. Remove aluminum foil cover; sprinkle peppers with mozzarella cheese. Bake until cheese is bubbling and melted, about 5 more minutes.